Today the electricity is being generated from fossil fuels such as coal, oil and natural gas. These resources are finite and are depleting fast. Further, electricity generation using these energy sources will not be viable because of many reason such as rising prices, demand & supply gap, security concerns, over dependence on imports from a limited number of countries and growing environmental concerns of global warming and climate change. One answer to meet the growing demands of electricity and to save our mother Earth is to generate electricity using Sun rays (Solar). 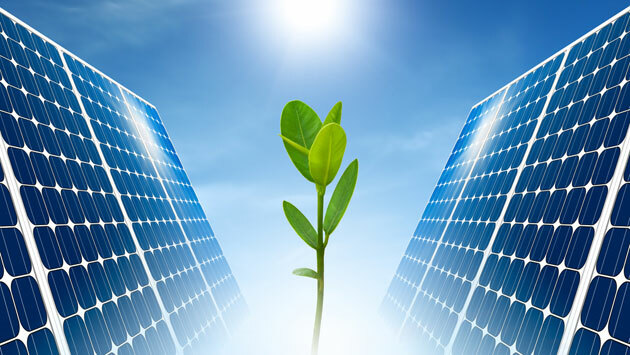 The Solar energy is abundantly available on the earth and can be converted efficiently using PV modules into electrical power. The electricity power that can be harnessed through solar modules, installed on rooftops of large scale industries, medium-small companies and homeowners-urban as well as rural. After recovery of initial investment, reap the profits with EVERY SUNRISE for continuous 20-25 years, as good as Pension Scheme. Decrease your future electricity bills as Solar power would be cheaper in future. Stop worrying about total power blackouts due to grid issues. Reduces carbon footprint by generation of clean energy and in turn saving the earth for our next generation to come.